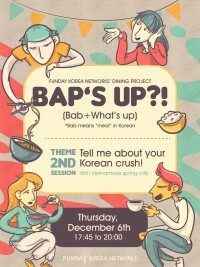 Funday Korea Networks has prepared their 2nd Dining project named Bab's up(Round-2). conversation along with each other about their life style. 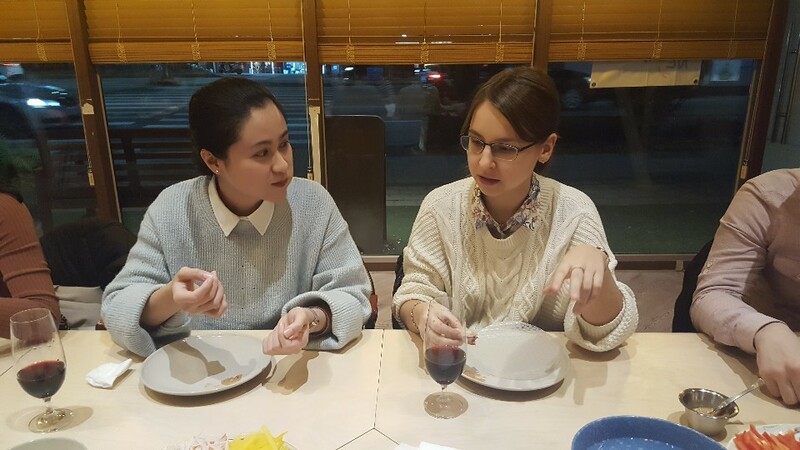 Each session has a different food theme and subject, and 12 people were invited in the 2nd session. spring roll together. 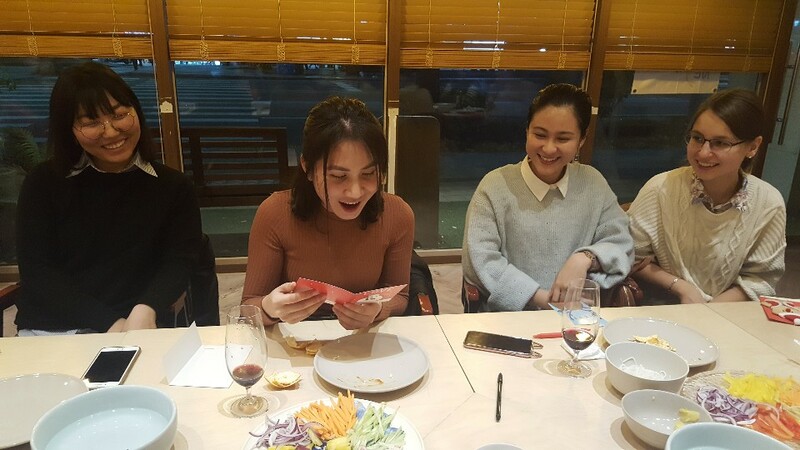 The special attraction of the party was to talk about ‘My Korean Crush’! 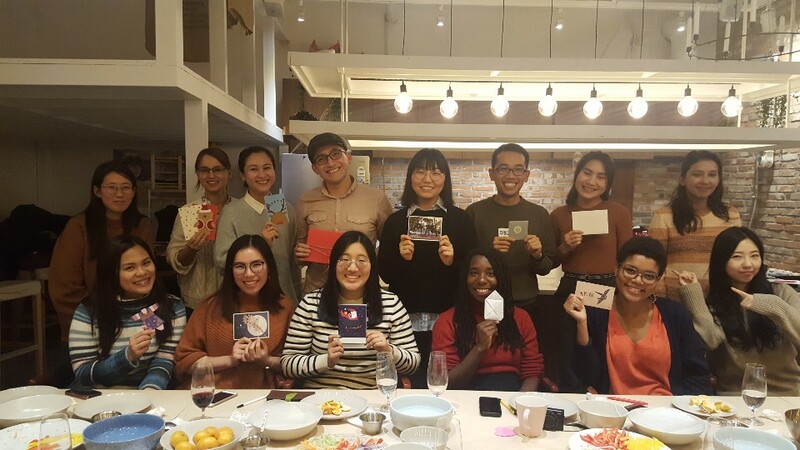 and handwritten card and letter exchange program. 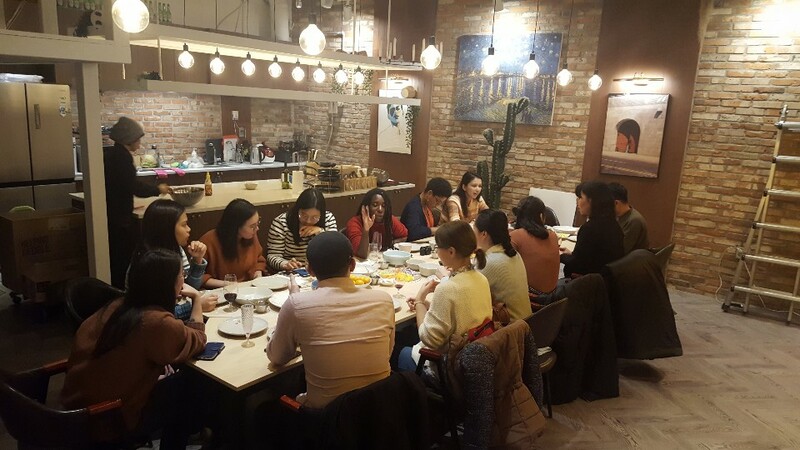 펀데이코리아네트웍스가 다이닝 프로젝트 '밥썹'의 두번째 만남을 12월5일 열었습니다. '나의 한국인 짝사랑'였으며 음식은 월남쌈으로 준비되었습니다. 이번 모임의 하이라이트로는 서로를 격려할 수 있는 손글씨 편지를 주고 받는 프로그램이 진행되었습니다.